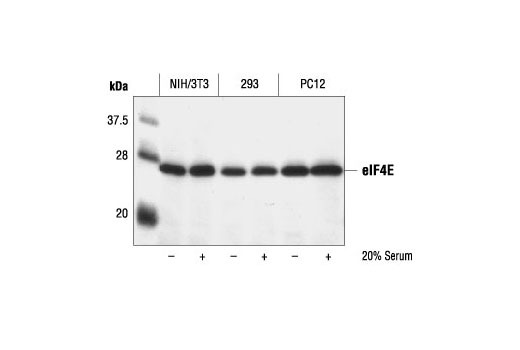 Western blot analysis of extracts from control and serum treated NIH/3T3, 293 or PC12 cells, using eIF4E Antibody. 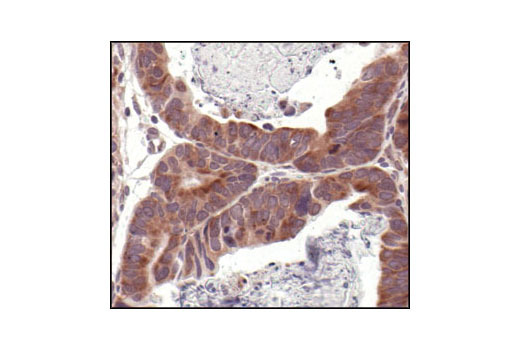 Immunohistochemical analysis of paraffin-embedded human lung carcinoma, showing cytoplasmic localization, using eIF4E Antibody. 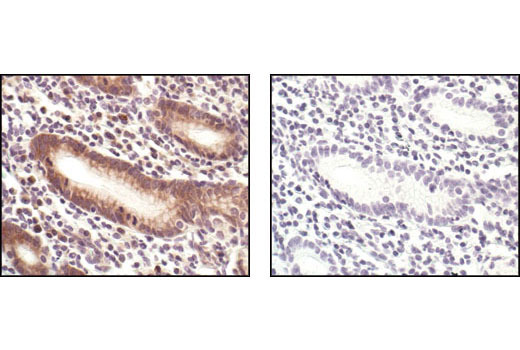 Immunohistochemical analysis of paraffin-embedded human colon, using eIF4E Antibody in the presence of control peptide (left) or antigen-specific peptide (right). 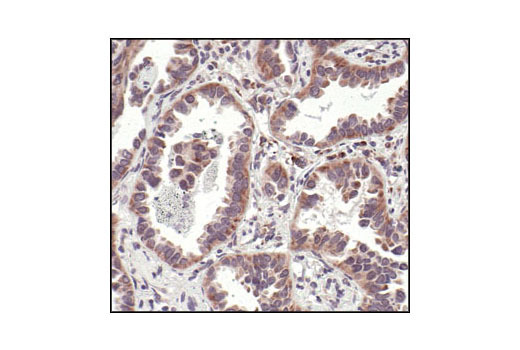 Immunohistochemical analysis of paraffin-embedded human renal cell carcinoma, using eIF4E Antibody. 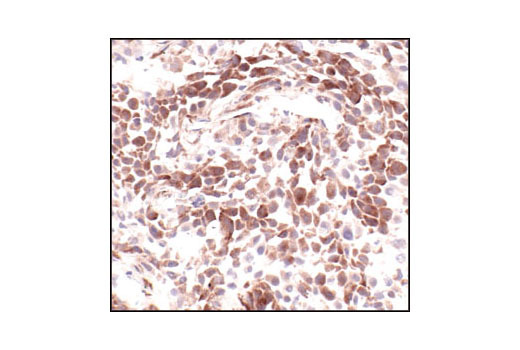 Immunohistochemical analysis of frozen H1650 xenograft, using eIF4E Antibody. eIF4E Antibody detects endogenous levels of total eIF4E protein. The antibody does not cross-react with other proteins. Polyclonal antibodies are produced by immunizing animals with a synthetic peptide corresponding to residues surrounding Ser209 of eIF4E. Antibodies are purified by protein A and peptide affinity chromatography.